Home Blog What Language Should You Learn? Determining which language to learn should be a pretty low stress decision. While there may be over 7,000 languages from which to choose, there is no reason to let it get to you or stress you out because there will only be so many languages that interest you. One of the first things to keep in mind is that it should be a language that you are both interested in and one that you know you will have a use for it. One of the primary reasons I learned German and Japanese was because I wanted to live in those countries (largely because there were so many things I loved about Austria and Japan). This gave me the motivation to learn and stay focused. The language that you choose is going to be up to you, but here you will find what you need to help you decide what that language should be. Whether you are in middle school or high school and are trying to select a language for school or you are an adult who wants to travel, here are the things you should consider to determine what your second (or third) language should be. If you are the kind of person who enjoys exploring, then you probably like to learn on your own terms. You want to be able to experience more than just a tourist’s itinerary during your trips. If you are the type of person who wants to be able to explore a lot of different countries, then this is one of your best indicators of what language to learn. Selecting a language that is spoken in many different countries is going to give you the best return on the amount of time spent. Since you already know English, probably French and Spanish will be your best options. French is actually spoken on nearly every continent. If you want to be able to increase your chances of having a common language, this is a great one to learn. However, if you are drawn to just a few places where you want a real immersion experience during your travels, then you should focus on the languages spoken in those places (like I did). For me it wasn’t about quantity, but the quality of the experience. If you are the type of person who loves knowledge, then there are certain languages that are ideal for you (and not just Latin). 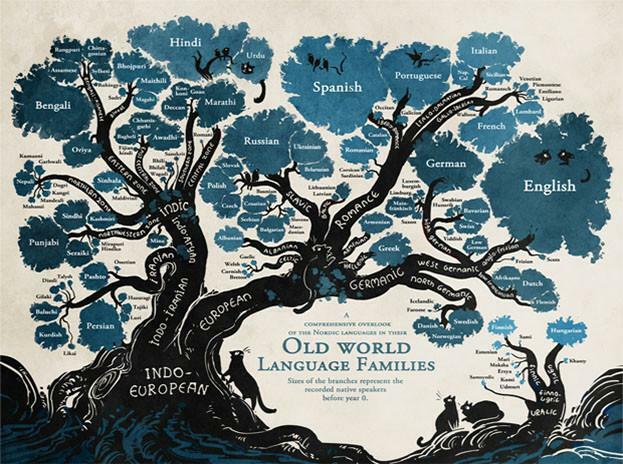 One of the best things you can do is select a language that is among the most published languages in the world. A country’s book publishing rate indicates that there is a lot of knowledge that you can learn in that particular language. Spend a little time researching to find the language that you think best meets your needs. Alternatively, you can find out which languages are the most used online. This will make it easy to read in the language anywhere, anytime. At the moment, the most used online languages are Spanish, Chinese, and Arabic. For those whose primary concern is more focused, you will want to seek out a language that has either a particular interest in that subject or that is known to be an expert in it. For example, if you enjoy politics and want a very different type of experience from English speaking countries, Russia and China offer the biggest political differences to how we think about government. Most people who learn are looking to be able to influence other people as well. As you may expect, MIT has already conducted a study on language and influence. By spending a bit of time going over their analysis, you can find the right language to help you gain some of the type of recognition you seek. Some of the figures are based on the number of people who speak a particular language. However, there are a lot more criteria to it, such as hubs of knowledge on sources like Wikipedia (Russian, German, and French are nearly as popular as English). You can also use the same metrics that a person who seeks knowledge uses. While a person who wants knowledge seeks to learn, you seek to act, so you can use their metrics to the same effect, you will just take it a little further. There are a few countries that shine as places where business thrives. If you would like to profit financially from your studies, you can focus on places where business does well. You will be able to monitor business conditions and financial advice by learning the right language. The three countries with the biggest GDP at the moment are India, Indonesia, and China. By learning one of the languages from one of these countries, you will be able to better watch monetary growth while you learn about the countries. If you prefer to profit through being a translator, there are several languages that are profitable. The problem is that you need a language that is in demand, which may not be the same as the other criteria on this list. With numerous Chinese immigrants all around the world, Chinese translators are not as in demand as you may think. You need a language like Japanese, Portuguese, or Arabic where there is a very small population of native speakers. They tend to have the least number of highly qualified translators. For those simply looking to enjoy the learning experience, your choices will be a lot easier. If you don’t know what language you are interested in learning, there are several countries known for the way they churn out high quality entertainment. Korean is really big in several industries, including television dramas and K-pop music. One of the things I love the most about knowing Japanese is the fact that I love both video games and anime/manga. I get to use Japanese every day and it is almost always a highly enjoyable experience. Think about what you love doing and find a language that will enhance that experience. If you love Renaissance stories or German fairy tales, Italian and German will be pretty easy to learn and start enjoying once you get your language skills up to an intermediate level. It may not be a positive motivator, but it can be one of the most effective. If you have a particular language that you need to learn to avoid feeling shame, use that to your advantage and get started learning now. There is nothing quite like shame and embarrassment to really make you fight through frustration and road blocks. A Gallup Poll taken in 2001 showed that only about a quarter of Americans can speak more than one language. Compare that to the European Commissions poll in 2006 that showed that more than half (56%) of all Europeans could converse in at least two languages. In fact, most countries have a higher multi-lingual rate than the US. If you are an American and this is driver for you, Spanish is going to be your best option. You have plenty of resources and lots of potential to use it regularly.